Oracle released the third maintenance update in the latest VirtualBox 6.0 series to address multiple issues and add support for new technologies. 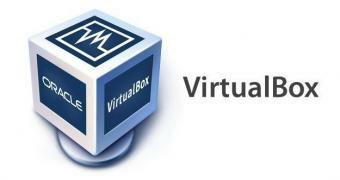 VirtualBox 6.0.6 is now available for all supported platforms with some notable changes and new features, including support for the latest Linux 5.0 kernel series, as well as the upcoming Linux 5.1 kernel, which should see the light of day sometime next month, for both Linux hosts and guest. It also includes the Oracle Critical Patch Updates for April 2019, improves nested virtualization on AMD CPUs, adds support for QCOW2 version 3, improves IDE PCI emulation, improves VMSVGA emulation and 3D support, fixes issues with the VBoxSVGA and WDDM drivers, and improves loading of saved states for LsiLogic devices.